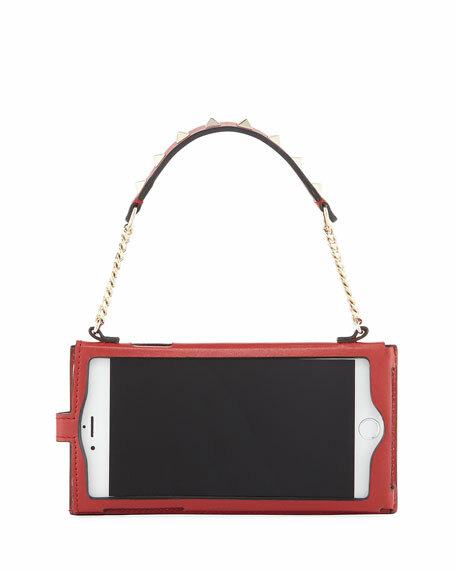 Valentino Garavani leather phone case with signature Rockstud trim. Cutouts for screen, camera, buttons and wired connections. Chain and Rockstud top handle. Bi-fold back construction; snap closure. Tailored for Apple iPhone® 7+. For in-store inquiries, use sku #2310568.